Bank levies and asset seizures are the ultimate action in tax collection efforts. Lothamer Tax Resolution has years of experince in stopping bank levys and releasing bank levys to residents and businesses in the state of Michigan. When a wage garnishment is issued, a notice is sent directly to your employer or source of income. 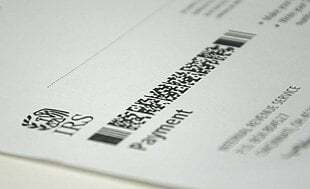 The IRS can levy almost all sources of income payable to you, including: your employer if you are a wage earner, commissions, sub-contractor fees, and accounts receivable for self-employed individuals; life insurance or endowment contracts, and retirement benefit payments including Social Security Retirement benefits. Wage garnishments may be continuous, lasting until resolution has been established on the outstanding liabilities. When a bank account is levied, the IRS will send a Notice of Levy to your financial institution informing them that you owe taxes. After your financial institution receives the State or IRS Notice of Levy, it is required to freeze the money in your account(s) as of that day, and you are consequently denied access any funds. The bank holds your money for 21 days; at the end of that period, it must remit the funds to the government unless the levy is released.This critical 21-day phase allows us time to negotiate a release of funds from levy. At Lothamer Tax Resolution, our Michigan based tax attorneys and CPAs will negotiate to have your bank levy released and stop wage garnishment. Upon being retained, we will immediately begin the steps necessary to negotiate a release. Once the bank levy has been released, we can then assist you with the next step towards permanently resolving your tax problem. We know how potentially devastating tax levies are to taxpayers and their families. Bank Levies and wage garnishment can leave a taxpayer with so little to live on that they are unable to even pay for basic housing and bills. If you need help negotiating a release of wage garnishment or bank levy release, please contact us immediately at (877) 829-2455 to schedule a initial consultation. We work closely with Michigan residents to solve a variety of tax issues, and encourage them to meet with us in person to discuss their tax problems. Feel free to stopy by any of our Michigan based locations.